As you may already know, the human body is composed of over 50% water! 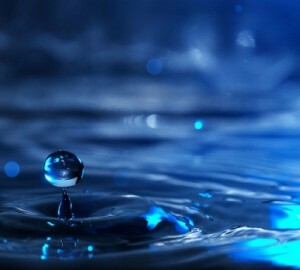 So it is easy to see why clean and pure water is so essential for optimal health. Although tap water is usually sanitary and free of pathogenic bacteria and parasites, there is unfortunately a litany of over 300 different artificial chemicals, toxins, and heavy metals that have dramatically contaminated most municipal water supplies. Unlike bacteria and parasites that usually cause more noticeable acute illness such as fever and gastrointestinal distress, these man-made pollutants slowly accumulate in the body and lead to long-term chronic disease. These are all dangerous toxins that can disrupt health and should be avoided at all costs. That means it is imperative to avoid drinking unfiltered tap water! Is Bottled Water the Solution? Over 73 billion half-liter bottles of water are consumed in the US per year. Of those, 50 billion bottles end up in landfills or polluting waterways and eventually contributing to the Great Pacific Garbage Patch. It also takes over 17 million barrels of oil to produce the plastic required for the number of water bottles purchased by American consumers in a single year. That is enough oil to fuel more than 1 million cars for an entire year! Not to mention, many water bottles contain bisphenol-A (BPA) and other xenoestrogens that can potentially disrupt the endocrine system. BPA has been linked to a range of health problems, including a higher risk of certain cancers, reduced fertility, birth defects, and diabetes. Most water treatment systems are filters, but not really purifiers. Many pitcher and refrigerator filters are designed with the intention to make your water taste better, but not necessarily be safer to drink. These filters remove simple chemicals like chlorine, but can still leave behind a toxic chemical concoction. This is because the market is inundated with filters that rely solely on carbon filtration. Carbon filters do work but they tend to vary greatly in effectiveness. High quality carbon filters are able to remove a wide range of contaminants including asbestos, lead, mercury, trihalomethanes and volatile organic compounds (VOCs). However, for the most comprehensive removal of toxins, you want to use reverse osmosis water purification. Even the best carbon filter cannot effectively remove common “inorganic” pollutants. Reverse osmosis filters out the contaminants not removed by activated carbon, including arsenic, fluoride, hexavalent chromium, nitrates, prescription drug residue, and perchlorate. Reverse osmosis is a water purification technology that uses pressure to push the water through a semipermeable membrane to remove ions, molecules, and larger particles to ensure complete water purification. That is why Dr. Colbert recommends a revolutionary counter top reverse osmosis system to ensure you and your family get the cleanest water possible. Since there is no single filtration technology that will remove all the harmful contaminants from water, a truly effective water purification system must incorporate multiple types of filtration. AquaTru utilizes a combination of carbon filtration and reverse osmosis. Combining these two technologies, which are not found together in any other water purifier that can be operated without a connection to plumbing, creates a comprehensive water purification strategy. AquaTru uses the best and most expensive carbon block filter with a state of the art reverse osmosis system. The 4 stage process used by AquaTru results in “water bottle” quality water at home, without the waste associated with the packaging and transportation of water. The AquaTru technology works so effectively to purify the water that it not only removes harmful constituents but also beneficial compounds including valuable minerals. The resulting water is low TDS (total dissolved solids) and may actually be harmful to drink in large quantities. When this demineralized water is consumed it can actually leach minerals from the body and lead to a dilution of electrolytes (minerals with an electrical charge). To address this problem AquaTru developed an ionic trace minerals formula to remineralize and alkalinize the filtered water. This solution creates alkaline water that is full of life-giving micronutrients and makes your water taste even better. These minerals come from the Great Salt Lake in Utah where the nutrient-rich waters contain over 72 ionic minerals and trace elements that are 8-10 times more concentrated than regular seawater and are in precisely the same proportion as healthy human fluids! Clean mineral rich water is essential for optimal health. Unfortunately, the majority of municipal tap water is unfit for human consumption and most filters only remove a small percentage of the dangerous contaminants! 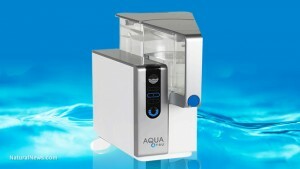 In order to safeguard your water, Dr. Colbert recommends the AquaTru countertop water purification system. This convenient, effective, and affordable multi-stage water filter removes the vast majority of toxic pollutants. The resulting low TDS water is remineralized with ionic trace minerals resulting in a safe, clean, and nourishing water for you and your family. To get your AquaTru water filtration system delivered to your doorstep click the link below!